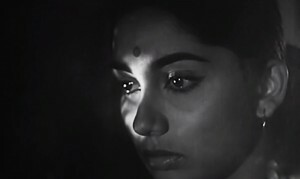 In a year of opulent dramas like Mughal-E-Azam, Jis Desh Main Ganga Behti Hai, Kohinoor, Barsaat Ki Raat and Chaudhvin Ka Chand, master filmmaker Bimal Roy reiterates the power of simplicity with his 1960 offering Parakh. Seldom mentioned in the same breath as his more eulogised works like Do Bigha Zamin, Devdas, Bandini, Sujata or Madhumati, Parakh’s satirical commentary is surprisingly relevant even after half a century since its release. After collaborating with Roy on the acclaimed Do Bigha Zamin, legendary music composer and writer Salil Chowdhury designs a parable set in a small village, which explores the degree of greed a human being can possess as well as the farcical repercussions that follow when unreasonable opportunism takes over. Devoid of saleable stars or commercial trappings, Parakh’s multifaceted premise flourishes favourably under Roy’s sharp-witted filmmaking that’s discerning enough to balance his ridicule for the fraudulent with his appreciation for the incorruptible. A major contributing factor (along with its able ensemble cast) in why it scores both on consequence and charm. It all starts when the postmaster (Nazir Hussain) of an uneventful village called Radheypur receives a letter from a wealthy philanthropist by the name of Sir J C Roy entrusting him the responsibility of handing over the princely sum of Rs 5 Lakhs to the most honest resident of his village meant for its development. 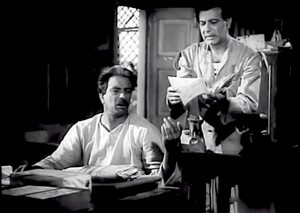 Although burdened by financial troubles, a nagging loan, a bed-ridden wife, a school-going son, a daughter he wishes to marry off to a suitor of her choice, the postmaster instead calls on the central figures of Radheypur – the landlord (Jayant), the contractor (Asit Sen), the village priest (Kanhaiyalal), the doctor (Rashid Khan) and a young schoolteacher (Vasant Chowdhury) to decide who’s the most genuine of them all. Save for the schoolteacher, sharing the postmaster’s dignified disposition while also harbouring a romantic corner for his lovely daughter Seema (Sadhana), rest of the party gets into a hilariously competitive spirit to prove themselves worthy of the money. Sensing a democratic approach serves their cause, the foursome on the schoolteacher’s suggestion agree on an election, wherein the village votes in the favour of the most deserving candidate out of the aforementioned five nominees. The circus that ensues is woefully true yet unquestionably funny. Greed leads to charity in the paradoxical turn of events and changes Radheypur’s fortunes overnight. While the schoolteacher, anyway committed to the welfare of his village, isn’t lured by temptation, his fellow contenders engage in mad struggle to outdo one another. The conceited landlord does away with collecting taxes from the poor peasants. The crooked contractor sets about urgently building tube wells and roads. The self-seeking doctor and his cheerful compounder (a very young and sober Keshto Mukherjee) now offer free treatment to previously neglected patients. The troublemaking priest plays on the gullible folk’s blind faith and it works too lest the displeased goddess curse them to damnation. In one droll scene, he conceals a deity’s figure above a bulk of drained chickpeas under the soil and when the mass of legumes swell up, the figurine obviously rises leading trusting devotees to believe it’s a divine set-up. Even if it’s tad caricaturish, Kanhaiyalal’s exuberant pujari is the most amusing of the four. Another moment of comical irony is when he incites his followers to drink the dirty lake water citing its holy properties. Cut to the doctor who mocks the same but does not realise his wife is one of the blind supporters and has poured a glassful down his throat. Roy diverges from their story to accommodate a demure romance between Bengali film actor Vasant Chowdhury and Sadhana. 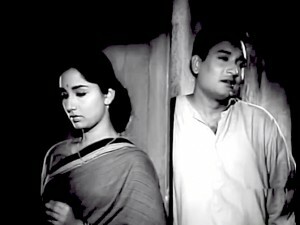 Their affection for each other is tested when they become subject of gossip in the neighbourhood, which is triggered after our hero refuses to give in the landlord’s cunning offer or his city-bred sister-in-law’s (Nishi in wannabe Madhubala mode) flirtatious overtures. Sadly, Parakh too endorses the haughty modern girl changing into a sari-clad avatar of virtue stereotype that continues to thrive as recently as Deepika Padukone in Cocktail. 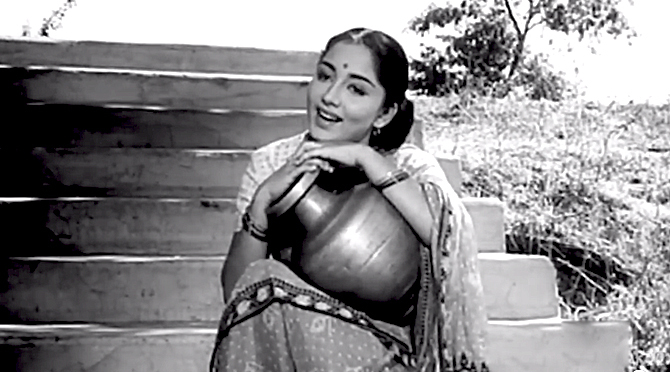 What lends Parakh an air of enchantment is Motilal’s Fairy Godmotherish presence in the story. As the postmaster’s limping subordinate Haradhan, he’s the carrier of this commotion-inducing letter. The actor won a Best Supporting Actor Filmfare trophy for his role and plays his part with waggish fervour and sarcastic quips — Sab cheezein hazam nahi hoti. 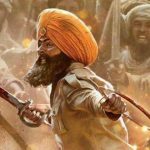 Khas kar ke hamdardi. Agar iski kahin zyadti ho jaati hai toh khatti khatti dakaarein aane lagti hain — while wryly pointing out the hypocritical class discrimination and disturbing instances of untouchability. Like I mentioned earlier in my article, this Bimal Roy gem is all about balance. All its thought-provoking components find a lively anchor in the romantic fraction of Parakh’s story, which is boosted by Sadhana’s luminous and, of course, fringe-less appearance. The minimalist director wasn’t too happy about her Audrey Hepburn do that added to her star-making turn in Love in Simla. So she pinned them behind and transformed into a picture of desi grace. 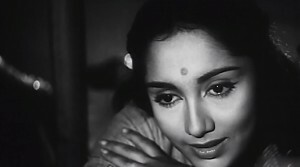 I once read an old interview of the actress where she mentioned how Roy complimented her by saying she reminded him of his favourite Nutan during the O sajna barkha bahar song. Speaking of the evergreen song, which also ranks among Lata Mangeshkar’s top favourites, what can one say about her ethereal rendition and its magnificent pictursation in Kamal Bose’s soulful camerawork that fills the frames with the glorious scent of petrichor? The winning combination of Salilda’s dulcet soundtrack and Shailendra’s lilting poetry imbues every single composition a personality that blends in the narrative yet holds its own. While I love the breezy beat of Mila hai kisika jhumka, I am in complete awe of Lata’s delicate delivery of the poignantly penned Mere mann ke diye yunhi ghut ghut ke jal tu mere laadle with its haunting, marvellous choral arrangement. Manna Dey playfully mocks in his volley of ‘Dakuon ne jog liya, chor bhaje Ram Ram’ for the baul melody, Kya hawa chali baba, closer to the theme of Parakh. 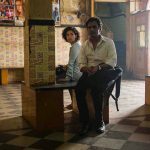 Everything that happens in the film on a small scale happens in the world on a wider one. The canvas of avarice may be bigger but the means and mentality to acquire it is just the same – bribe, corruption, deceit, scandal and violence. Parakh recognises it, even rebukes it but in a light-hearted vein. Reform might be distant but reward is certain, at least for one spotless resident of Radheypur.